Well, I am doing a little catching up! This is a recipe that we made back in the winter and I never got around to posting, there are a few more that I still have to post. My summer to do list is catch up with all of the posts that I have sitting in draft. These are so easy and fun to make and they are delicious also. Evie had fun pinching the seams together, it was like cooking and crafting all in one! You can even prepare a big batch and freeze them. I have done that and it worked out well. 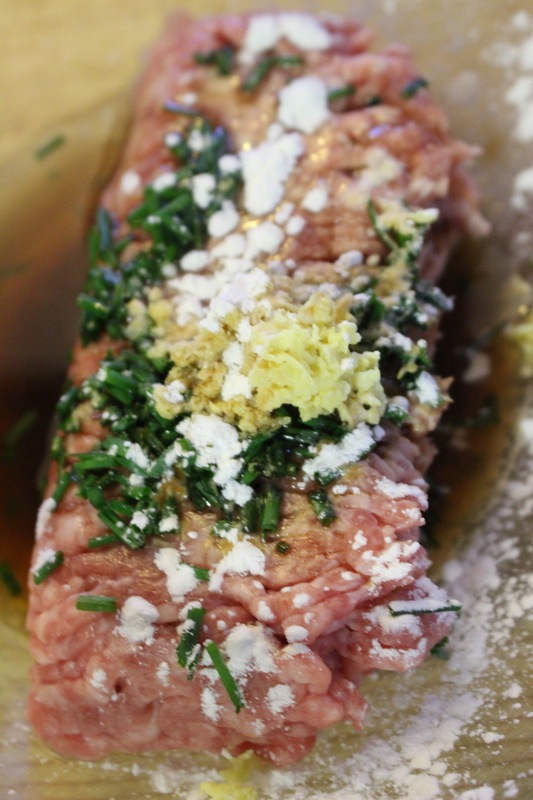 In a bowl mix pork, soy sauce, sherry, ginger, chives, sesame oil cornstarch and 1Tbsp water. 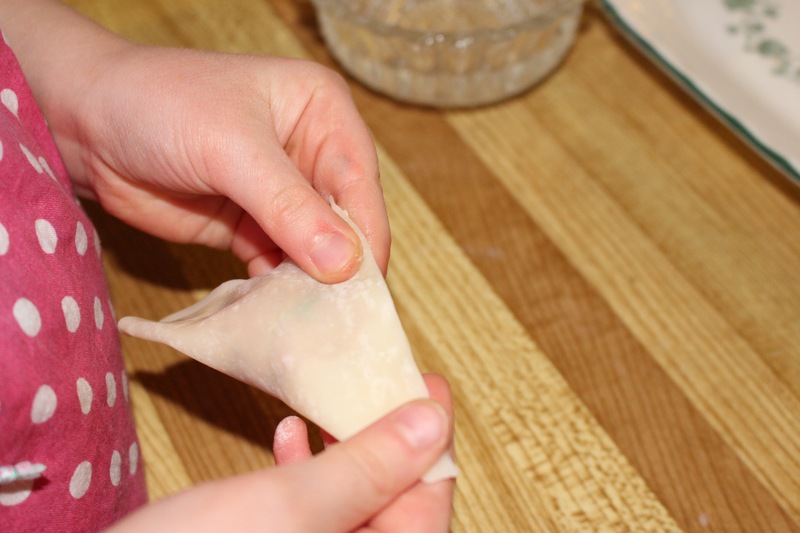 Place a tsp of the pork mixture in the centre of a wonton wrapper. 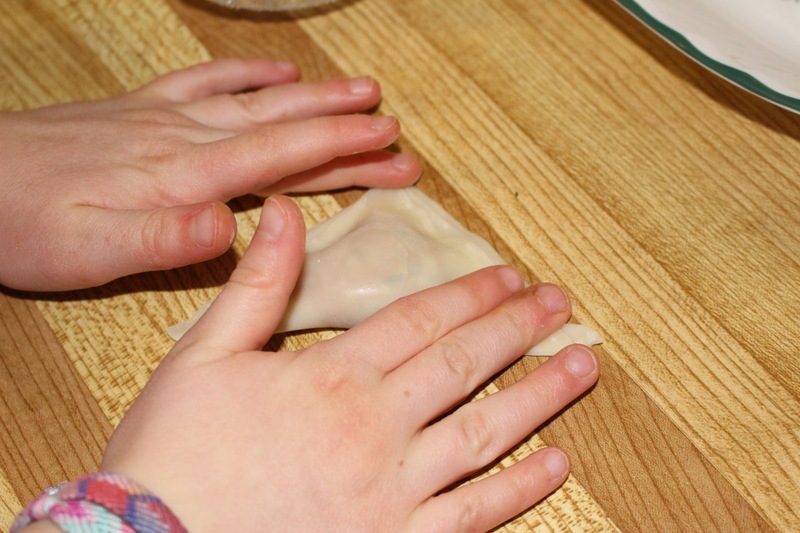 Lightly wet the edges of the wrapper and fold over, press to seal. Do this until all of the mixture has been used. 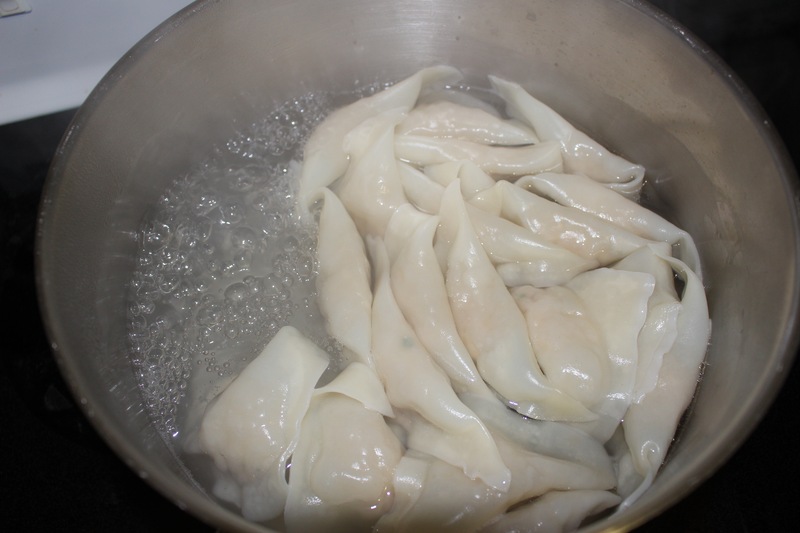 Cook dumplings (in two batches) in a large pot of boiling water until cooked through, about 5 minutes then transfer to a plate with a slotted spoon (you do not want much water left on them). Be very gentle as the wrappers are delicate. 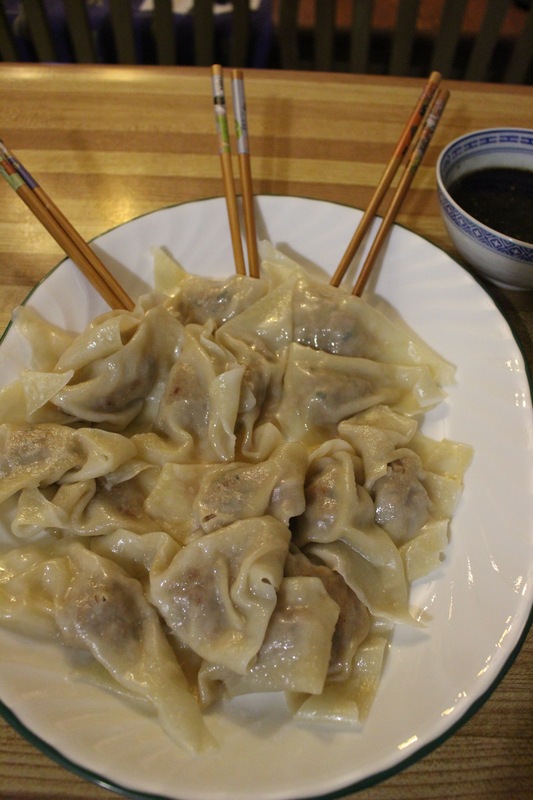 Once all of the dumplings have been boiled heat a large skillet with vegetable oil, cook about 1-2 minutes per side until they are lightly browned. Again I usually do this in two batches so they are not too crowded in the pan. As you can see mine were a little to crowded, I was impatient in a hurry, and did not brown quite enough to my liking, but they were still good. 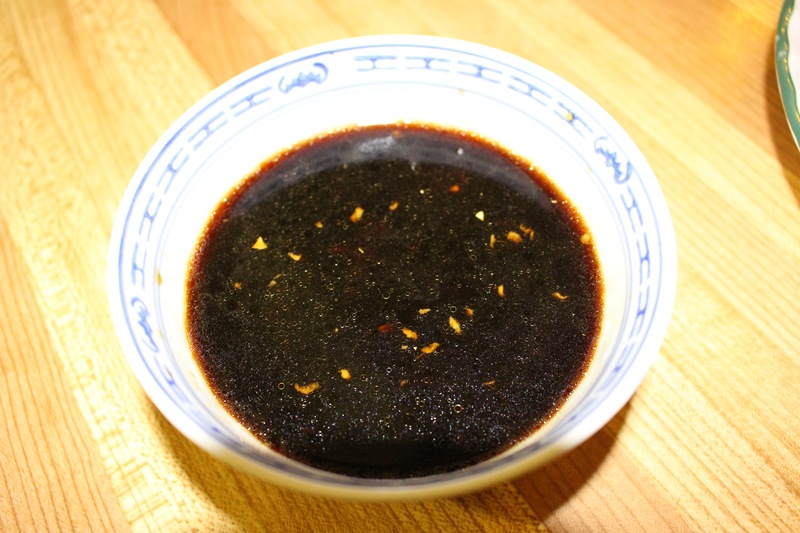 In a small bowl stir together 1/4 cup soy sauce, 3 Tbsp rice vinegar, 1 Tbsp minced fresh ginger, 2 tsp sugar and 1/4 tsp sesame oil. I give this a whisk and it is done. 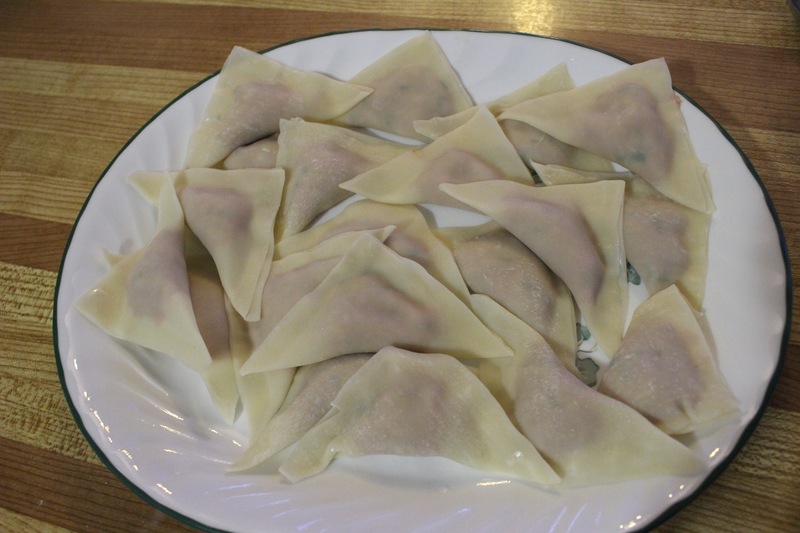 NOTE : I have prepared these and frozen the raw dumplings in ziptop bags. 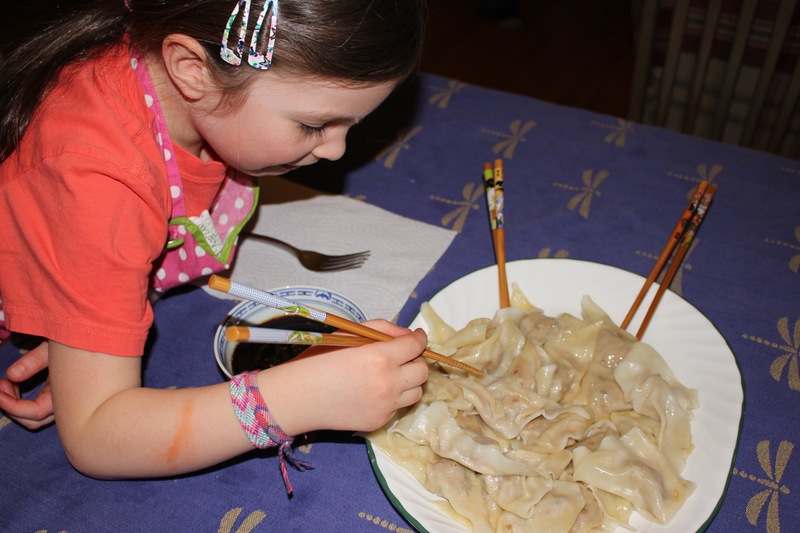 Once you have prepared the raw dumplings place them on a baking sheet to freeze. Once frozen transfer to tiptop bags and freeze. When you are ready to eat, cook from frozen. 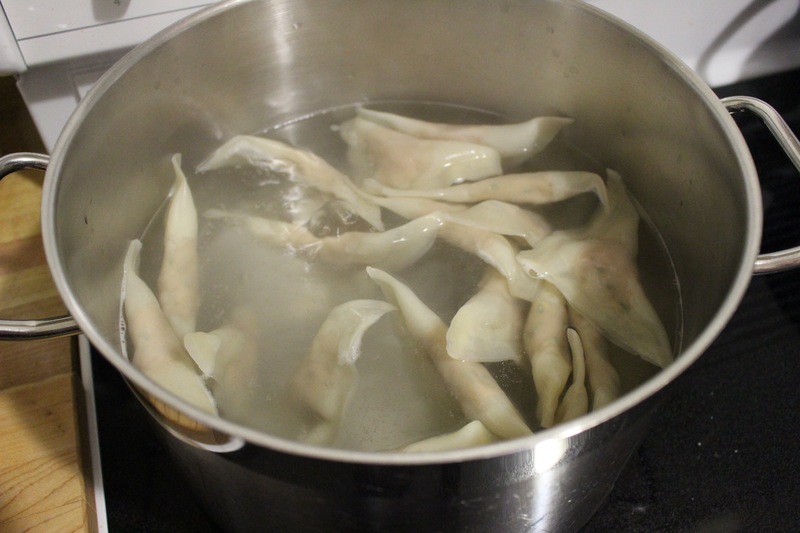 Just pop the frozen dumplings into the boiling water and cook as above. Source: The original recipe was found in Everyday Food magazine.